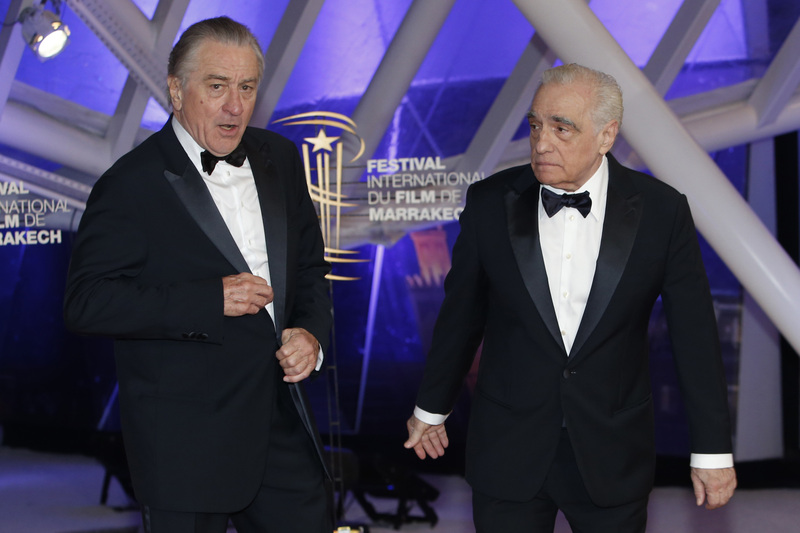 MARRAKECH, MOROCCO - U.S. director Martin Scorsese and actor Robert de Niro on Sunday discussed the changing nature of cinema in the age of streaming services on the sidelines of the Marrakech film festival. “Movies have to be shown on a big screen,” De Niro said during a news conference. 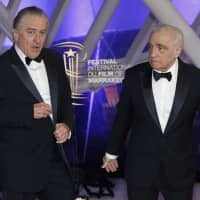 Their remarks come with the ninth collaboration between Scorsese and double Oscar winner De Niro — gangster movie “The Irishman” — expected to be released next year by streaming giant Netflix. Based on true events, it stars De Niro as mob hitman Frank Sheeran and co-stars Al Pacino as the infamous American labor union leader Jimmy Hoffa, who he allegedly killed. Scorsese told his audience that Netflix stuck its neck out by deciding to go ahead with the movie. “Netflix is taking risks … nobody else wanted to,” he said. He said financing for films can be found but “theaters are closing” as more people prefer to watch movies online. But he acknowledged that “the contradiction” was in the fact that “the money we were fortunate enough to find to make this movie is from a network,” referring to Netflix. Scorsese for his part said that despite the changing times, one thing is certain: “The only thing that perseveres is celluloid. “What we are doing now could fade tomorrow,” he added. On Saturday De Niro received a tribute award at the Marrakech International Film Festival from the hands of his friend “Marty” Scorsese. “We made our first film together, I think it was over 45 years ago. … One of the great blessings of my life,” said De Niro during the ceremony. The pair have worked on several films together, including “Mean Streets” in 1973, “Taxi Driver” in 1976 and “Raging Bull” in 1981, which earned De Niro an Oscar.